I've been toying with pescatarian / demi-vegetarian / plant based for a while now, partly because of my Crohns Disease and partly because of a growing consciousness about the world I reside in and how I can minimise my effect on it. In saying that, I have decided to become a full blown vegetarian. It’s a big decision. A huge decision in fact, and one I am not taking lightly. I guess my whole foray into meatless living started about two years ago, when I read about the MAP gene in pork. There is some serious evidence that this gene, since found in other meats, can* contribute to digestive issues such as Crohns disease. Whilst there is no solid evidence that it can cause it, I have been aware and it’s been playing on my conscience. If you would like to read more about MAP, please click here. For the best part of those two years, I have seldom eaten beef, lamb and pork. This is because I really struggle to digest the red meats, and also because it’s not something I crave on a regular basis. If I wasn't missing it, and I didn't need it, why would I spend money on it? Sure, there have been the occasional beef roast and pork sausages, but on the whole I have steered clear. I barely eat dairy, and don’t miss it. Then, I discovered amazing YouTubers like Sarah Lemkus, Ellen Fisher and Hot for Food. Vegan Youtubers! Could I be vegan? I wasn't sure then, and I still don’t know. It did however make me seriously think about the ingredients I keep in the house. I noticed my chicken and beef stock cubes were out of date, the honey was crystallised and the milk chocolate going off. I was already making ‘vegan decisions’ without realising. Having spent the last year or so of living with Sam, the meatiest we have got is chicken, the occasional sausage (meat substitute, chicken or turkey), and fish. We always have meat substitute (Plant based protein alternatives like lentils, mycoprotein or soy) on hand, and frequently choose them over their meat versions, and so will this transition be as noticeable as I'm worrying about? I take a chemotherapy drug for my Crohns currently. What if I could come off of it and solely control my disease through diet? 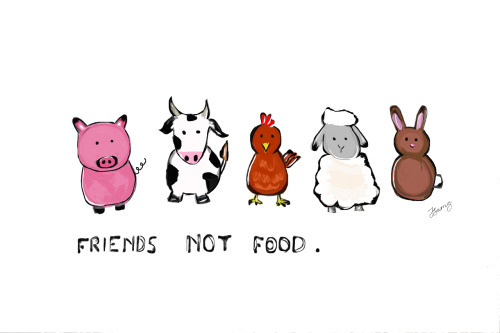 I'm not comfortable when I eat meat – it doesn't make me feel good, or healthy in any way. I am really conscious of MAP. What if eating it is making me iller? Shouldn't I aim to eradicate it from my diary and self-heal? The world cannot cope with the amount of animals. Its crumbling under the weight of animals bred purely for consumption. It’s not supposed to be this way, and I want a world where my children can live and know what a cow is without thinking of the connotations of how the cow ended up on their plate. I suppose, reading this back, I am erring more towards veganism. I mean, I already use vegan and cruelty free make up. Maybe that is where I'm headed! Have you changed your diet recently? Do you have any tips? I’d love to know, I think I'm going to need some help! *Disclaimer – This research I have conducted myself. Whilst I have made this decision, it does not mean it is the right decision for everyone, nor that it can cure or alleviate symptoms or illnesses. Please do your own research before embarking on any form of life/diet/medication change. This is really brave Lo. It's a big decision, but it sounds like something you have really considered (and educated yourself on). I eat meat every day, and I have been feeling increasingly uncomfortable knowing the environmental impact my consumption is having. I'm been wanting to start doing one day a week meat free... this post is making me think I should make it happen. It will require discipline and meal planning, but surely that's better than killing the planet! Good on you for living so consciously, even when the decisions are tough.